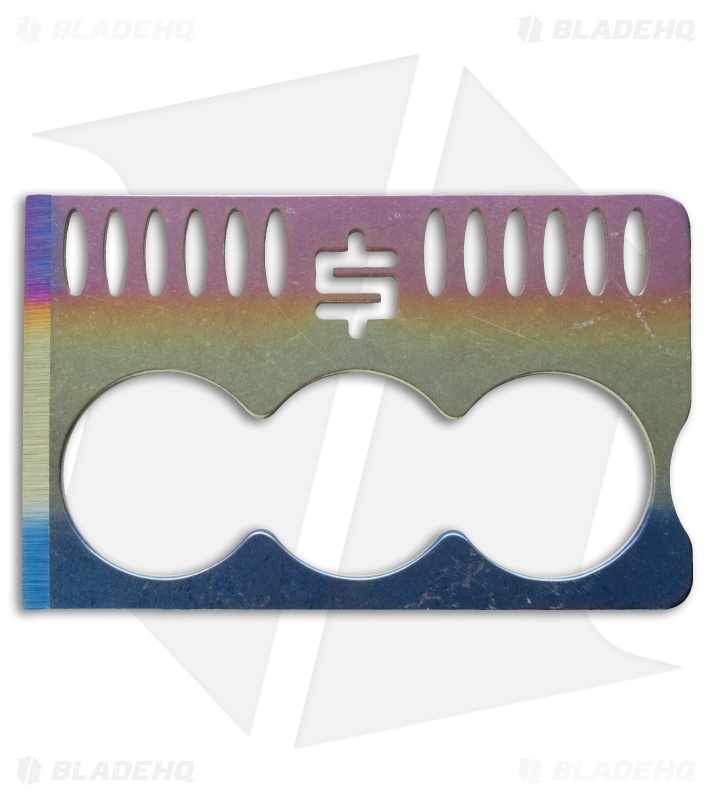 The Crisis Card 3.0 is the latest and greatest from Snody Knives. It features 6Al4V titanium construction with three finger holes. This one has spectrum anodized faces and a sharpened chisel ground edge. Designed specifically as a last attempt self-defense implement. The Crisis Card may also be used for daily tasks like opening a box, scraping ice and the like. Includes signed and dated Certificate of Authenticity. Anodizing may vary from what is pictured above.